World of Tanks (game, 2010). A massively multiplayer online video game by Wargaming.net/Wargaming Group Limited/Navarre Corp/IGS Software Publishing/Microsoft Game Studios. Developed by Wargaming Minsk, Wargaming Group Limited, Wargaming.net, Microsoft Game Studios. Official Trailer. 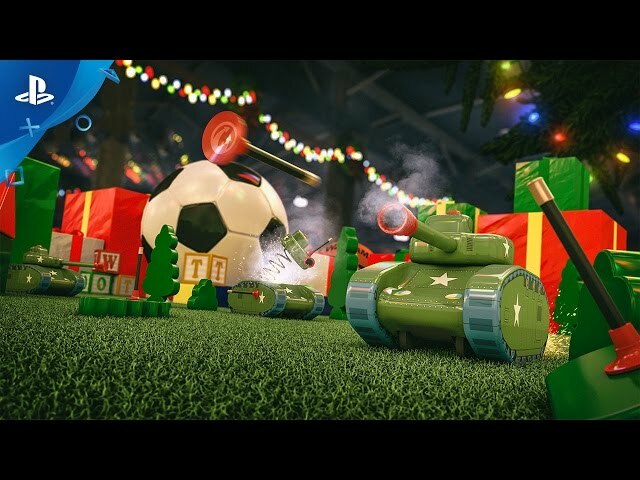 World of Tanks is a massively multiplayer online video game by Wargaming Group Limited, IGS Software Publishing, Microsoft Game Studios, Wargaming.net and Navarre Corp, developed by Wargaming Group Limited, Microsoft Game Studios, Wargaming Minsk and Wargaming.net. 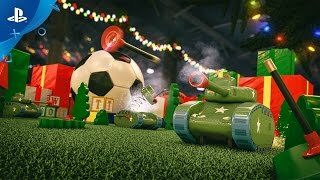 World of Tanks - Special Toy Tanks Mode Trailer | PS4. The player takes control of a single armored vehicle of their choice, and is placed into a battle on a random map. The player has control over the vehicle's movement, firing, and can communicate with allied players through typed or voice chat. A simple random match is won either by destroying all vehicles on the opposing team or capturing the opposing team's base. There are other game modes that change the rules of the battle, but gameplay mechanics remain the same. World of Tanks contains multiple game mechanics such as camouflage, shell ricochets, and module damage. The players in World of Tanks can choose six primary types of battles: random battles, team-training battles, tank-company battles, team battles, stronghold battles and special battles. "Historical Battle" and "Rampage" are former options but have since been taken down for improvement upon its poor reception following its release. Within random battles, players can also participate in platoons, groups of two to three players who are put into the same team. There are also missions to be completed in the game modes for varying amounts of rewards. The vehicles are modeled to closely resemble their counterparts in real life, however certain parameters have been simplified or modified to fit game mechanics, and better gameplay. World of Tanks has five different types of vehicles: light tanks, medium tanks, heavy tanks, tank destroyers, and self-propelled guns. Each nation has at least one line of vehicles starting at tier I to tier X, players progress by playing games in vehicles in that line. The player takes control of a single armored vehicle of their choice, and is placed into a battle on a random map. The player has control over the vehicle's movement, firing, and can communicate with allied players through typed or voice chat. A simple random match is won either by destroying all vehicles on the opposing team or capturing the opposing team's base. There are other game modes that change the rules of the battle, but gameplay mechanics remain the same. World of Tanks contains multiple game mechanics such as camouflage, shell ricochets, and module damage. World of Tanks was scheduled to be released by Wargaming.net, Wargaming Group Limited, Navarre Corp, IGS Software Publishing and Microsoft Game Studios on August 12, 2010 (Russia), on March 15, 2011 (People's Republic of China), on April 12, 2011 (European Union, North America), on March 8, 2012 (Singapore), on March 16, 2012 (Vietnam), on December 27, 2012 (South Korea), on September 5, 2013 (Japan), on February 12, 2014, on August 12, 2014, on July 28, 2015, on October 30, 2015, on December 4, 2015, on January 19, 2016 and on November 9, 2016. The game is made with Havok engine. This video game is available for the following platforms: Microsoft Windows, Xbox 360, Xbox One, PlayStation 4. The game had received T rating and PEGI 7 rating.